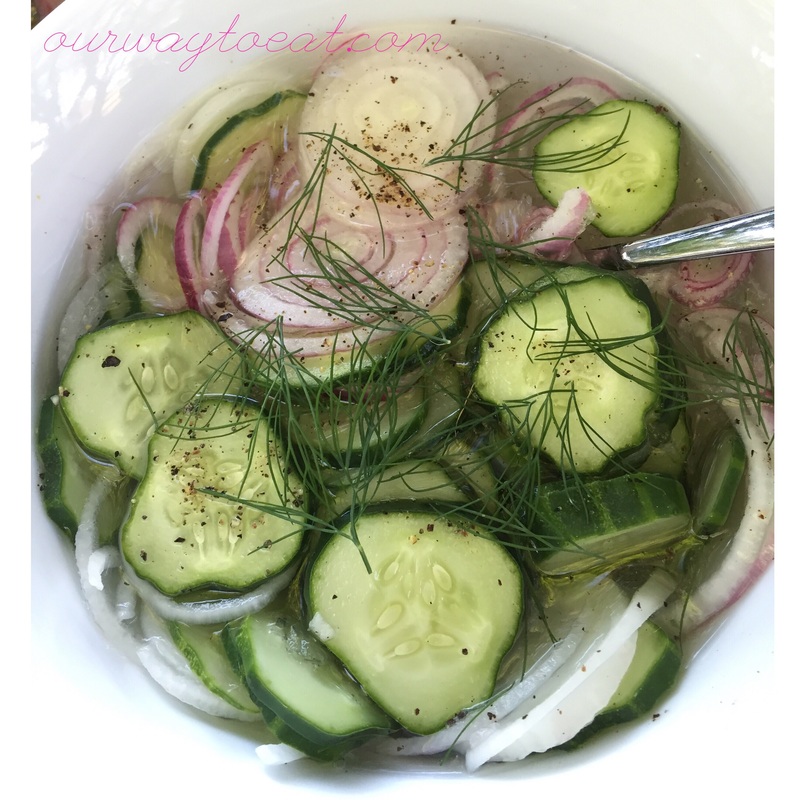 Crunchy local cukes and sliced onions in a potent bath of vinegar and water with salt and pepper is the perfect accompaniment to all summer food, as far as I am concerned. The flavor of the freshest mild-skinned early season cucumbers against a headstrong vinegary backdrop awakens the palate and provokes a deeply familiar taste of childhood that brings me right back to the dining room table at my Grandma’s farmhouse. My only addition to this simple recipe-less side from my past is a fluttering electric frizz of fresh dill just picked from the garden and snipped on top. Added sensory bonus: if you bring the leftovers to work and the container opens in your bag, you can smell/smell like the summery parfum of vinegar, onions and dill all day long!